Lisa Hannigan will appear at an early show at Soho here in Santa Barbara on Saturday. To get a flavor, check out her compelling performance (and great accompaniment) on song, Knots, on Leno last night. We wouldn’t miss her were we here, but will be away at the Hardly Strictly Bluegrass Festival. 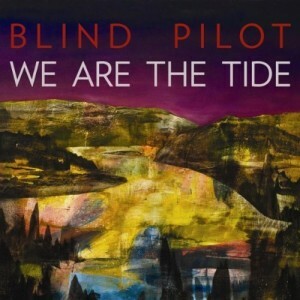 Portland-based band, Blind Pilot, recently released their album, We Are the Tide, which blends folk and added indie pop elements to great effect. The expanded band (now six-strong) will play Soho this Friday night (September 30th). Check ’em out. We give ’em the nod for both their music and their bicycle touring ways. Check out below an older video of Blind Pilot performing their song Buried a Bone, and get out and see them tomorrow night (you can get tickets from Club Mercy HERE). Blind Pilot – Buried A Bone from LaundroMatinee on Vimeo. 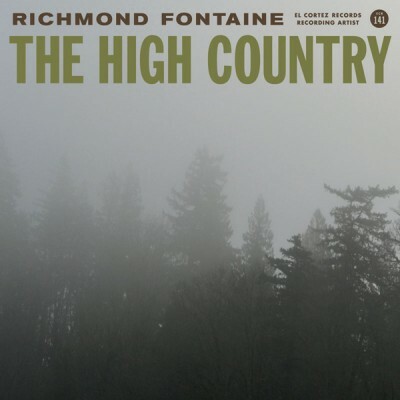 Richmond Fontaine recently released its stellar, John Askew-produced album, “The High Country,” on El Cortez Records. The haunted concept album is already featuring prominently on Top Ten lists around the land. If you’ve loved Willy Vlautin-and-crew’s other albums, such as the stunning “Winnemucca,”, you’ll undoubtedly hail The High Country. You can stream the whole album below, and buy it (and find the worthwhile, stirring lyrics) HERE. Trombone Shorty showed on the Late Late Show with Craig Ferguson and kicked things up a notch with On Your Way Down. We caught the N.O. lad’s great live show at last year’s Hardly Strictly Bluegrass Festival. Check out the performance below and get out to UCSB to see Trombone Shorty live next Friday, October 7th. In their songs, we can hear Orange Juice being squeezed by the band Dominant Legs. Well, at least we can hear that early Brit-pop band’s influence in this newish San Francisco band. And we see grapes. In their other songs you can also hear a bit of Tracy Chapman in the musical mix. The combo is great. Who knew that the Fast Car could be juiced? Check out their new video for their song, Hoop of Love below. Dour gets juiced, resulting in a lilting uplift. Their new album, “Invitation,” was released yesterday on Lefse Records. Dominant Legs – “Hoop Of Love” from stereogum on Vimeo. In an unprecedented move, Radiohead performed a quiver of songs on a special hour-long The Colbert Report last night. Supported by an extra drummer and a horn quartet, Radiohead proved once again that they are the greatest band on the planet. And Colbert proved that, along with David Letterman, he is a host with musical soul. We’ve written about Grouplove previously. They are pressing on and gaining critical mass in the mass press, and did nothing to undermine that last week on Conan. Check the band performing their song Colours below. We were bowled over yet again at the Santa Barbara Bowl last night by the brilliant Bright Eyes. We’ll write about tonight’s show soon, but in the meantime check out Bright Eyes, Gillian Welch, David Rawlings and a hardy singalong-crowd at Stubb’s in Austin last week slaying Lua. Conor left out the luscious Lua tonight (though they gave us powerfully poignant versions of Poison Oak and Ladder Song), so we’ll fill the Lua void with the fine version below from Austin. Listen in to Nate Walcott’s horn play interlaced beautifully with Rawlings’ standard, soul-arch guitar. And then check a superb rendering by Bright Eyes, Gillian Welch, David Rawlings and Laura Burhenn (of Mynabirds fame) of Welch’s Wrecking Ball. Conor and Burhenn gave a great reading tonight at the Bowl, but the version below from Stubb’s sets the bar ridiculously high, with Gillian’s sonorous singing and Rawlings elevating on electric guitar and vocals. Wow. Radiohead appeared on Saturday Night Live last night. Check out their performances below of Lotus Flower and Staircase (both courtesy of The Audio Perv). And don’t forget they’ll be on The Colbert Report tomorrow night for a special one-hour show. My Brightest Diamond (led by the multi-talented Shara Worden) initially announced the release of their new album, All Things Will Unwind, via the hauntingly hopeful song Reaching Through to the Other Side. Comes now the official music video for another track, Be Brave. We’re not used to this more playful side of My Brightest Diamond. But we like it. Check it out (via Stereogum originally). And then take another tour of Reaching Through to the Other Side below it. My Brightest Diamond – ALL THINGS WILL UNWIND: Be Brave from Asthmatic Kitty on Vimeo. Here’s Reaching Through to the Other Side.